The Amarr garage door model 3500 and Amarr garage door model 3550 offer the best appearance, smooth operation, and reliability of any clear-view garage door. 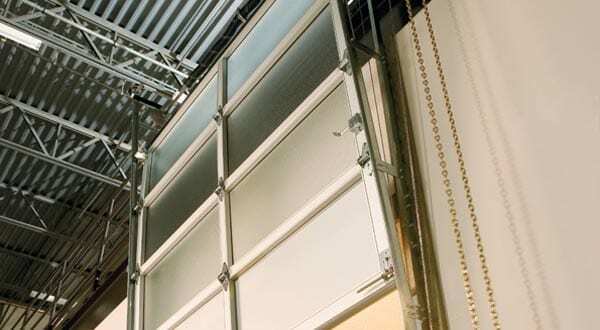 Frequently used by fire stations or automotive service stations, a glass panel garage door can also be a beneficial option for other businesses such as restaurants that want an easy way to create a more open feel and to be able to expand their dining area to the outside when the weather permits. Action Garage Door can provide you with value pricing on these doors and the best installation service in Texas. Our nearly 30 years of experience means you will be satisfied with your job. The Amarr model 3500 is a great way to increase the natural light of your facility and decrease your need for artificial light sources, saving you energy and money. The Amarr model 3550 allows your business to let the light in and even to reduce the amount of artificial light you need at times, helping you to save money and energy. The professionals at Action Garage Door can help you find the right door for your company and provide the top-notch installation and service you want and need. Call us today to get your new garage door soon!